Alake Shilling's "A Nice Day with Minnie and Daisies"
Food and drinks also played a key part in the festivities. The exhibition crafted a custom cocktail called “The Chick” in honor of Minnie’s feminine flair. The concoction was made with vodka, rose elixir, and Prosecco, adorned with a sugar rim and licorice. Additionally, Pineapple Greens and Dragon Fruit Punch from Disney’s collaboration with Pressed Juicery were being served. 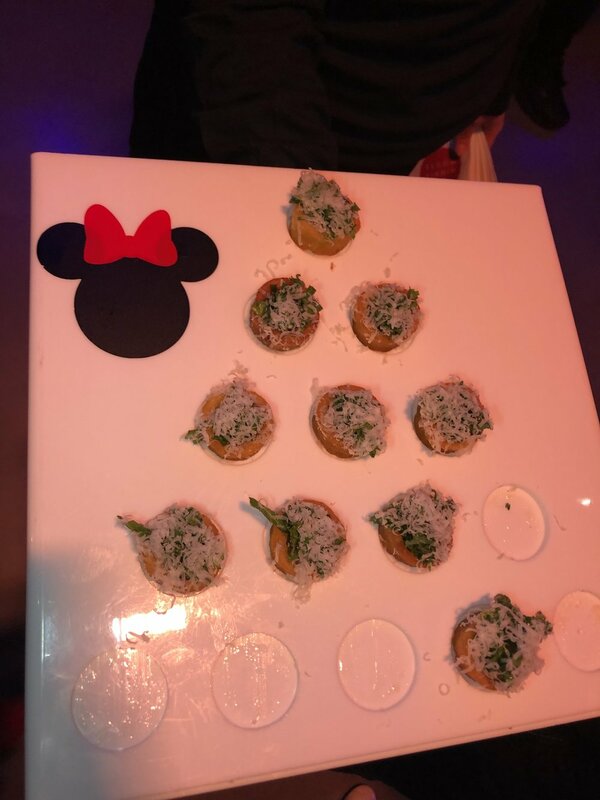 As for the food, kale caesar and chicken and waffles bites were passed around on Disney-themed platters. 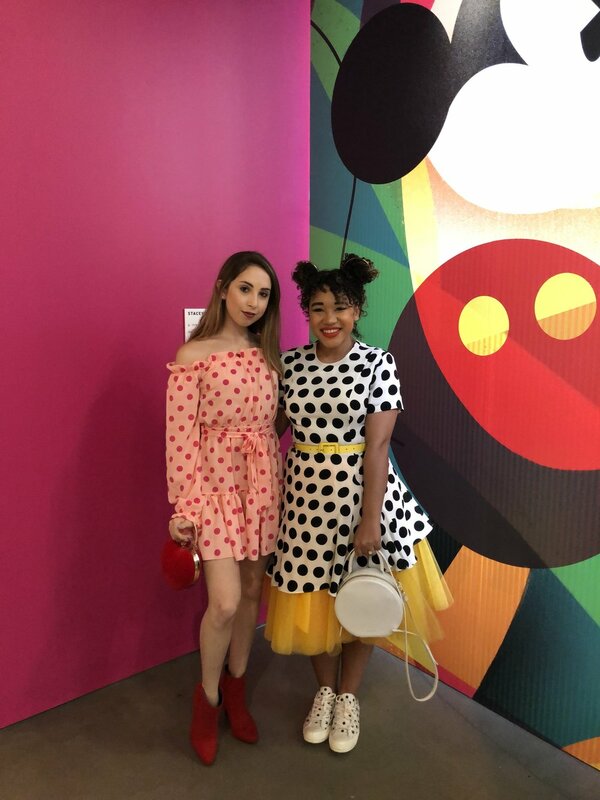 However, the highlight was surely the make-your-own candy bag bar, where attendees collected a variety of Minnie-colored treats from Sugarfina to take home. 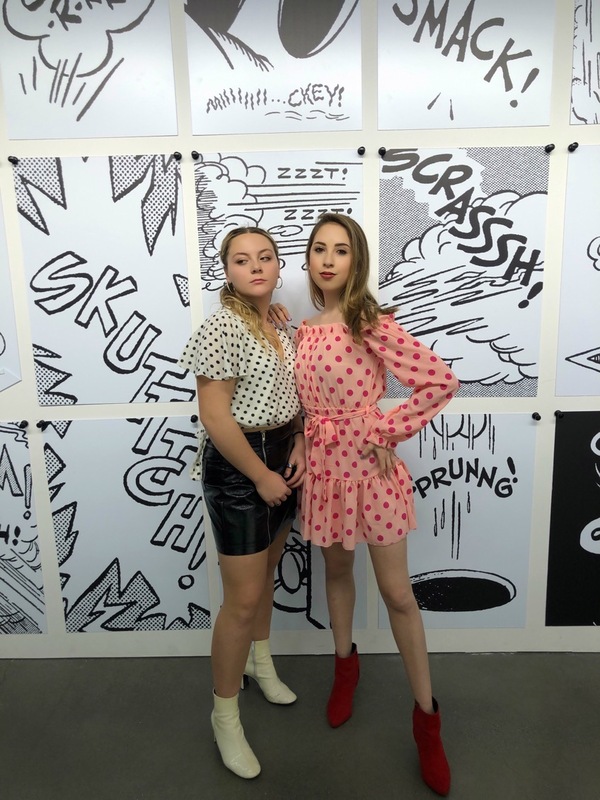 Throughout the course of the evening, guests snapped tons of pictures in front of Instagrammable art installations (read more about the exhibition here), as well as a red and white step and repeat covered in Minnie’s bows that was put up solely for the event. After dancing the night away to tunes spun by DJ Lady Sha, goody bags were bestowed with sequin ears, red lipstick and liner, and buttons...because there’s no such thing as being too spirited. Just break out your favorite polka dot frock if you ever forget.